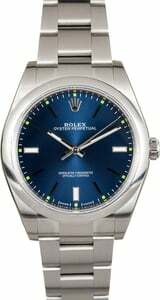 If you're in the market for a newer-model Rolex with an entry-level price tag, an excellent option to consider is the Oyster Perpetual ref. 114300 that is presented here today. The Oyster Perpetual model was developed decades ago, with the first Oyster case coming to market in 1926 and the Rolex perpetual movement debuting a few years later in the early 1930s. 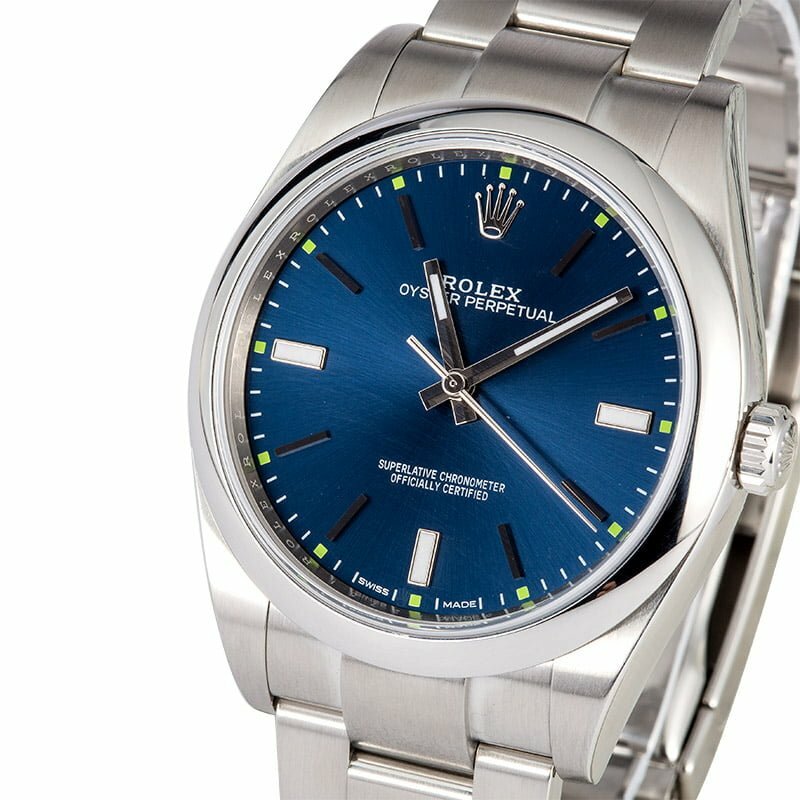 Over a lifetime has passed and the classic time-only style of the original Oyster Perpetual remains while also offering a host of modern upgrades, including improved stainless steel material, a larger 39mm Oyster case, a scratch-resistant sapphire crystal over the case, a Twinlock screw-down crown, and a calibre 3132 perpetual movement. 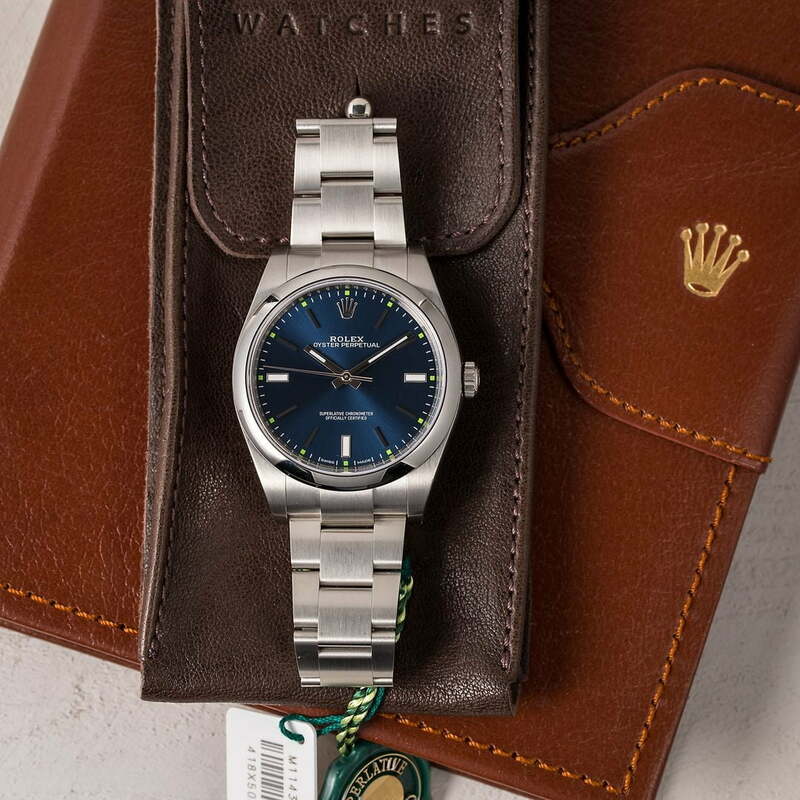 The newer preowned Rolex 114300 also presents the time on a contemporary blue dial, complete with luminous baton markers at the 3/6/9 positions and bright green dots above each hour position.